Military Gas Can Styled Flask - Stainless Steel - 5 oz. Measures 2-7/8" X 4" X 7/8"
Not your typical tank of gas! This GI theme flask is modeled after the classic Military Jeep gas cans. 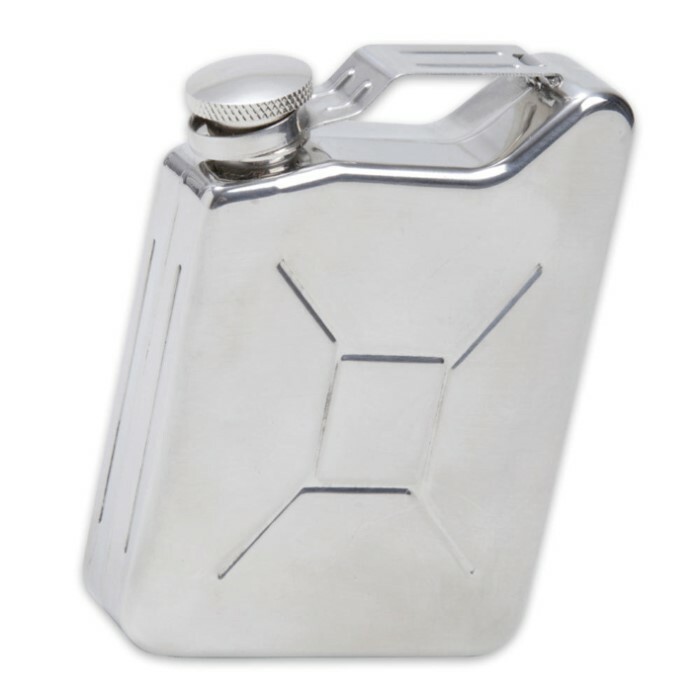 Crafted entirely of stainless steel and polished to a shine, this flask features a checkered screw-on cap and holds 5 oz. of your favorite beverage. Measures 2 7/8 in. x 4 in. x 7/8 in.